This precision made, yet stylish, charging handle, available in your choice of black or silver, for the SW22 Victory is designed so SW22 Victory owners can charge their firearm quickly and with certainty. With the limited grip surface of the bolt ears, this can be a challenge for some shooters. 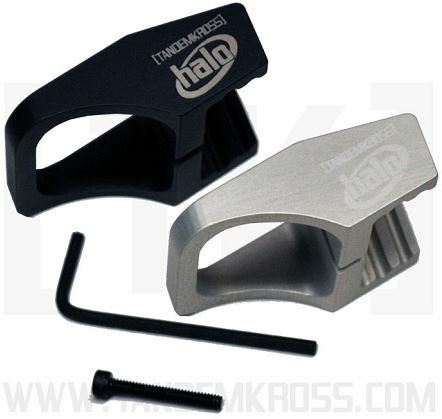 This is great for competition shooters who may need to charge the pistol with haste or clear a jam. For junior and senior shooters, overcoming the hammer can also be a serious challenge. A unique ring pull design ensures fingers of any size can get a proper grip and utilize the extra leverage needed to make the job easy. Stop trying to grab those tiny grip ears and put a halo around your SW22 Victory. You'll be glad you did. This is a very well made product, fit and finish is perfect.